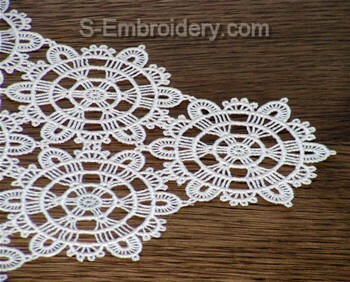 This freestanding lace machine embroidery design will produce a fine freestanding lace doily or table runner with a size of your choice. The design will fit in 4 x 4 hoops. The delivery includes an information file in PDF format and 1 machine embroidery file.